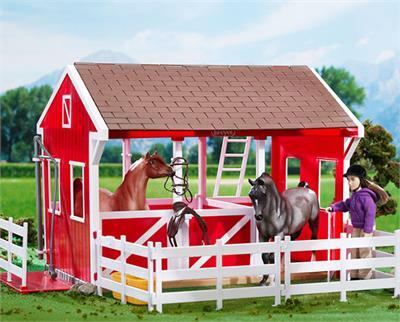 Introducing the New Classics Spring Creek Stable. 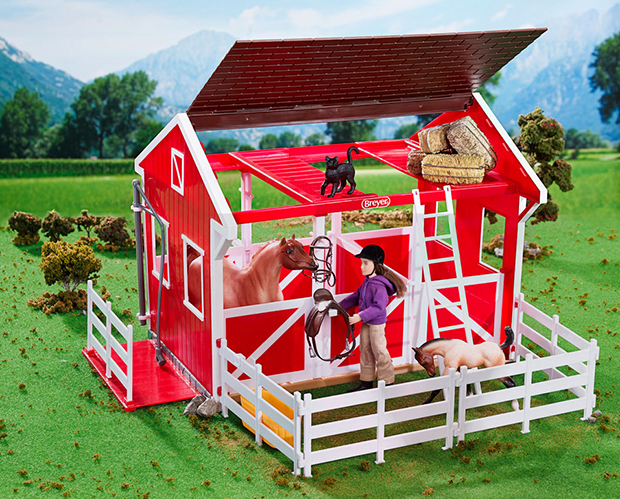 The roof swings open on either side for additonal access to 2 roomy stalls and loft, which has a moveable ladder. Use the 4 fencing sections to create an attached paddock behind the barn, or use them independently to create an enclosure. 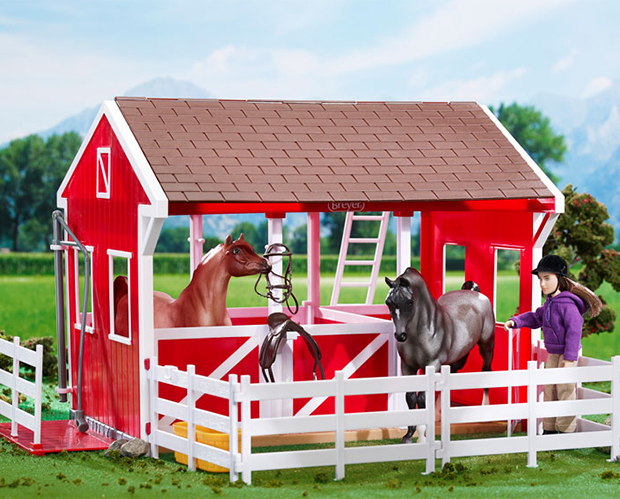 Breyer's Spring Creek Stables features a built-in, slide-out wash stall with swinging hose, and attached saddle racks and bridle hooks for tack storage. Easy to assemble - just snap it together! 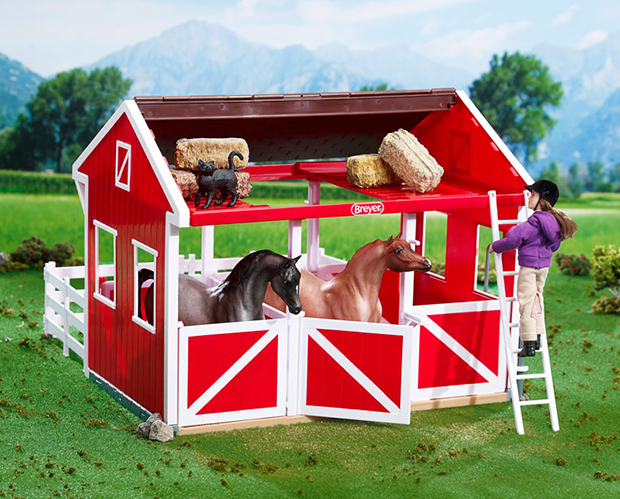 Assembled stable measures: 15"L x 9.5"W x 12"H.
Horses, doll, and tack not included.